Verily, is there anything more epic than this album art? It's hard for anything to live up to that image, if we're all being completely honest with ourselves. 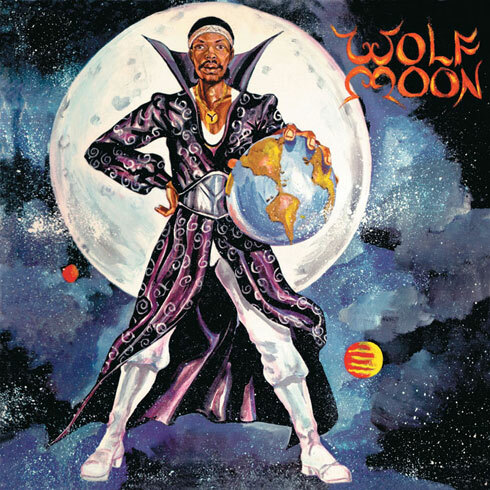 Wolfmoon is another installment of producer Swamp Dogg's series of reissues on Alive Naturalsound records. Originally released in 1969, Wolfmoon's gospel pop is fresh. But don't think it's psychedelia free -- the intro and outro to "People Get Ready" almost certainly sounded better to everyone in the studio than it does now. That sign of the times aside, Wolfmoon and his band dig deep in the low end, giving songs that sound familiar to the casual soul fan like myself a fresh perspective. holy awesome. that's great stuff. i blew it off based on the cover but now i wish i had it. those are some killer songs. Seriously? I saw the cover and decided I HAD to at all costs!